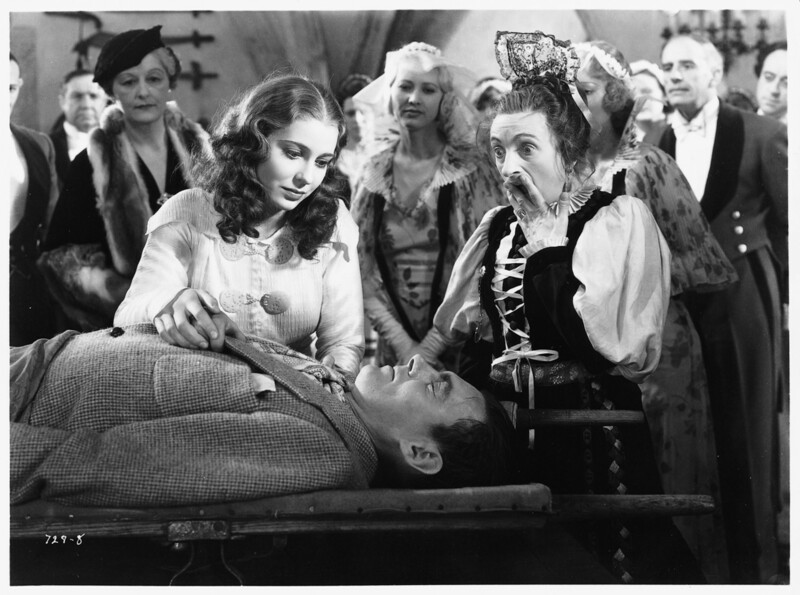 Bride of Frankenstein Archives - Horror News Network - The Horror News You Need! Universal Studios decided to spruce up their lot with a tribute to several of their all time greats. 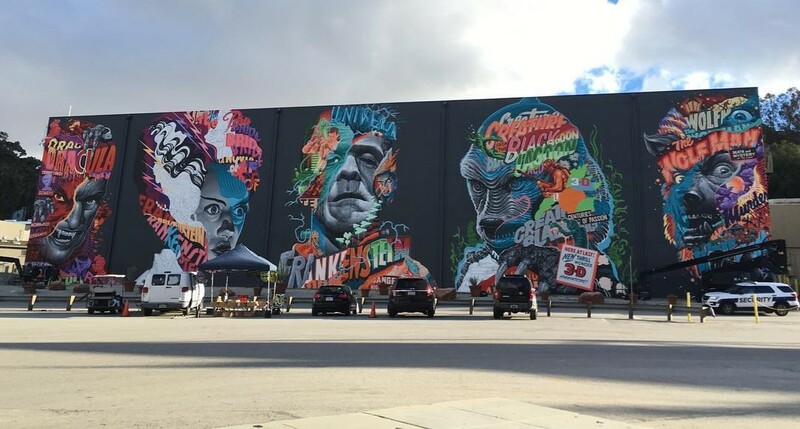 Nothing says “monster” like a 50×200 foot mural dedicated to the most famous ghouls of all time, and street artist Tristan Eaton has really delivered on the Universal Studios lot! The prolific painter began his journey in mid-January, working from a boom lift nearly 25 feet in the air; and now he’s ready to unveil his work to the public. 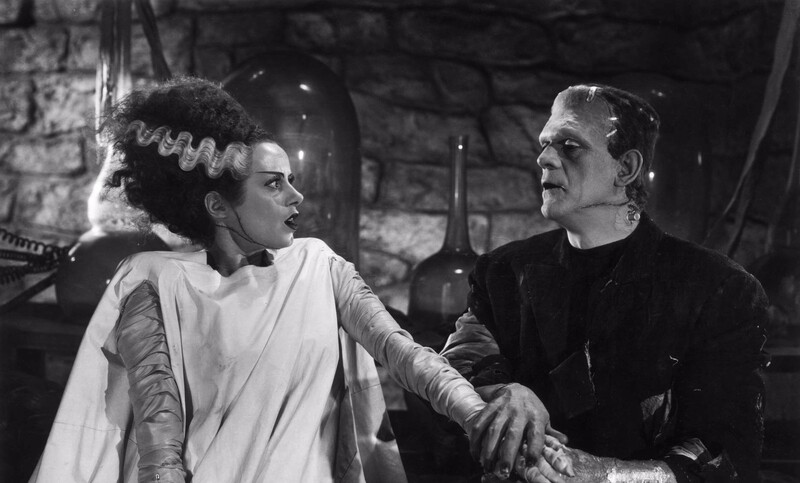 Scratch That… ‘Bride of Frankenstein’ Now Removed from Universal’s Release Schedule! News sure travels fast on the internets these days! 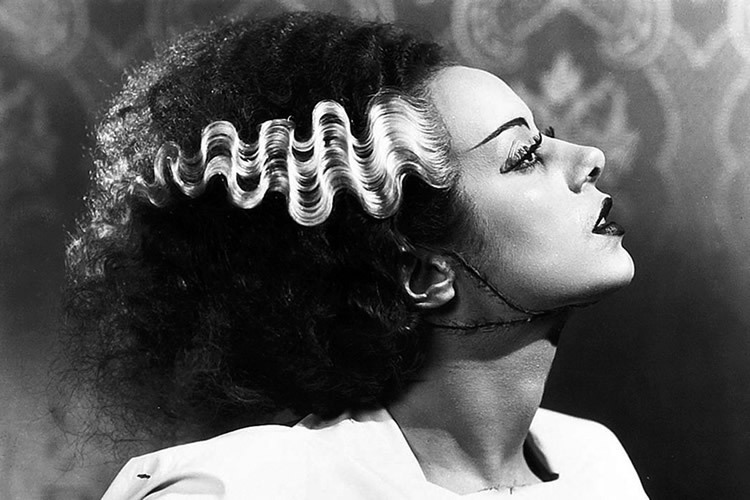 Hours after HNN contributor Mark McCurley reported the breaking news on Universal’s plans to release its Bride of Frankenstein reboot to theaters on Valentine’s Day 2019, the studio has officially pulled the movie from its release schedule. The February 19th, 2019 release date didn’t even last as long as The Mummy lasted in theaters this summer! http://www.horrornewsnetwork.net/wp-content/uploads/2016/05/HNN-logo.jpg 0 0 John Evans http://www.horrornewsnetwork.net/wp-content/uploads/2016/05/HNN-logo.jpg John Evans2017-10-05 23:31:102017-10-05 23:31:10Scratch That... 'Bride of Frankenstein' Now Removed from Universal's Release Schedule! Coming February 14, 2019 is a match not quite made in heaven with Bride of Frankenstein, the latest entry to the cinematic Dark Universe from Universal Pictures. With the release of The Mummy starring Tom Cruise in June of this year, Universal Pictures began reforming its lineup of classic monster films. These include The Wolfman, The Phantom of the Opera and The Creature from the Black Lagoon among others, according to Darkuniverse.com. Will The Mummy Send Universal’s Dark Universe Back to the Shadows? http://www.horrornewsnetwork.net/wp-content/uploads/2016/05/HNN-logo.jpg 0 0 Nick Banks http://www.horrornewsnetwork.net/wp-content/uploads/2016/05/HNN-logo.jpg Nick Banks2017-06-11 17:30:192017-06-12 01:41:44Will The Mummy Send Universal's Dark Universe Back to the Shadows? Have you ever wanted to see Angelina Jolie as the Bride of Frankenstein, or Dwayne Johnson as the Wolf Man? Well, you may be in luck! The Hollywood Reporter recently crunched the numbers needed for Universal’s upcoming The Mummy to be considered a success (a $40 million domestic opening weekend, for starters). In their report, they state that, if all goes well, the studio is currently eyeing the two megastars for future installments in the franchise. After the enormous success of Disney’s Beauty and the Beast, director Bill Condon is in talks to helm a different kind of love story! Universal wants him for its Bride of Frankenstein remake. Deadline reports that he is close to reaching a deal with the studio to direct a modern version of what he has called his favorite Universal Monsters film in previous interviews.